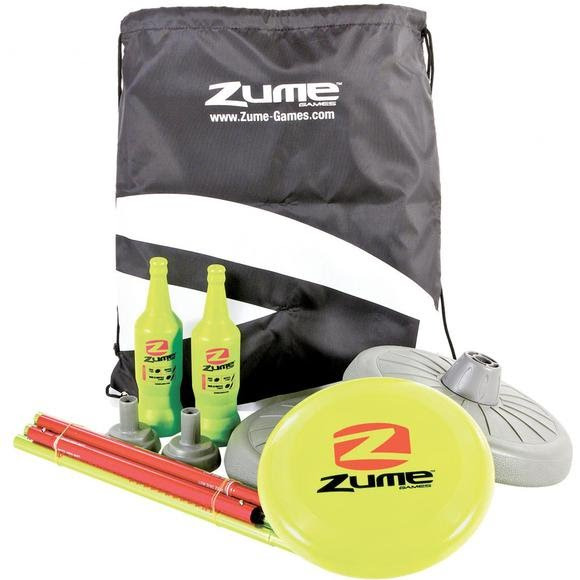 A fast-paced flying disc skill game offering non-stop offensive and defensive action, Zume's Bottle Battle requires competitors to knock down their opponents bottle/pole as the defensive team attempts to catch the disc and bottle before they hit the ground. Easy to set up, play and made for safe portable play, Bottle Battle is perfect for kids, beginners or recreational play. A fast-paced flying disc skill game offering non-stop offensive and defensive action, Zume&apos;s Bottle Battle requires competitors to knock down their opponents bottle/pole as the defensive team attempts to catch the disc and bottle before they hit the ground. Easy to set up, play and made for safe portable play, Bottle Battle is perfect for kids, beginners or recreational play.